This is a one day Christmas decoration fused glass workshop based in Martin's studio in the learning centre at Abbeydale Industrial Hamlet. This workshop is for beginners as well as the more advanced student; this workshop is run with a maximum of ten students ensuring that each student receives individual attention. Each student has use of a workbench with all the tools and equipment they will need while taking part in the workshop. All patterns and materials are supplied by Martin at no extra cost. 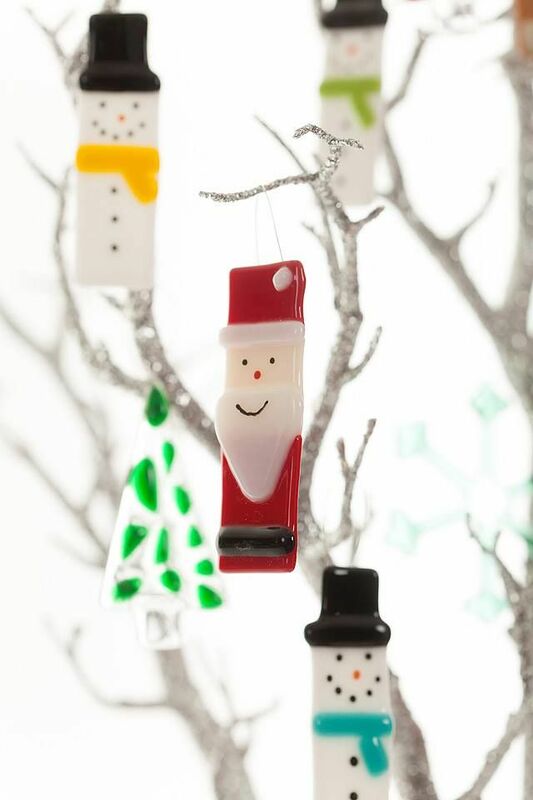 You will have the opportunity to make a selection of fused glass Christmas decorations such as snowmen, Santa's, penguins, stars and snowflakes. All pieces made on the day will be fired and available for pickup two weeks after the workshop, if you are unable to pick up your work it will be posted to you (please note a £10 postage and packing fee will apply).